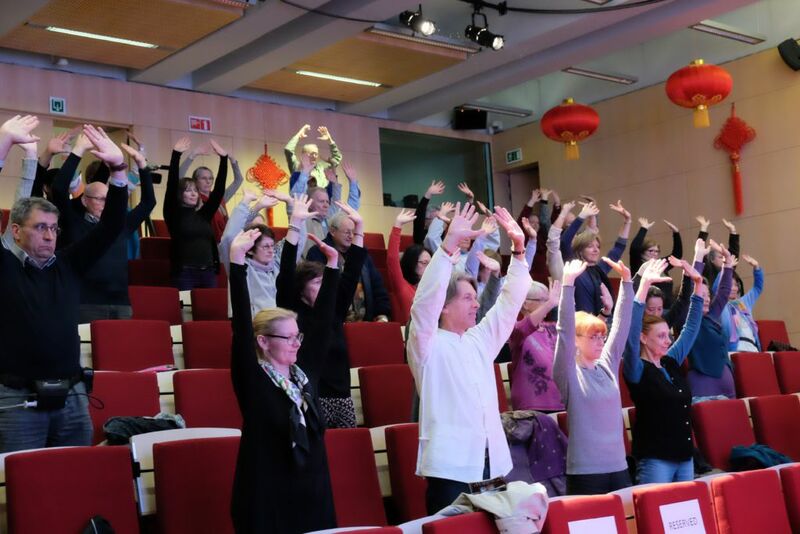 In the afternoon of Wednesday 26th of April, the Belgian Health Qigong Federation and the China Cultural Center organized a conference dedicated to the Qigong for cervical vertebrae, a preventive and curative method to avoid and relieve pains in the cervical vertebrae. 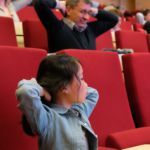 As part of this one, Mrs LIU Yafei shared her knowledge with the many participants who responded to the call of meditation and relaxation. 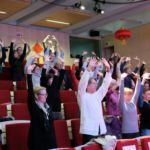 Graduate in Chinese Medicine and specialist in medical Qigong, the speaker from China gave her learnings to an audience of more than 60 people, before they experimented the method during a practice session. A pure moment of relaxation and reflection on the body and its founding energy. 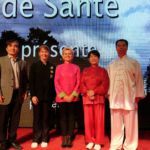 Mrs Liu Yafei is Director of the Qigong Medical Hospital of Beidaihe in China. 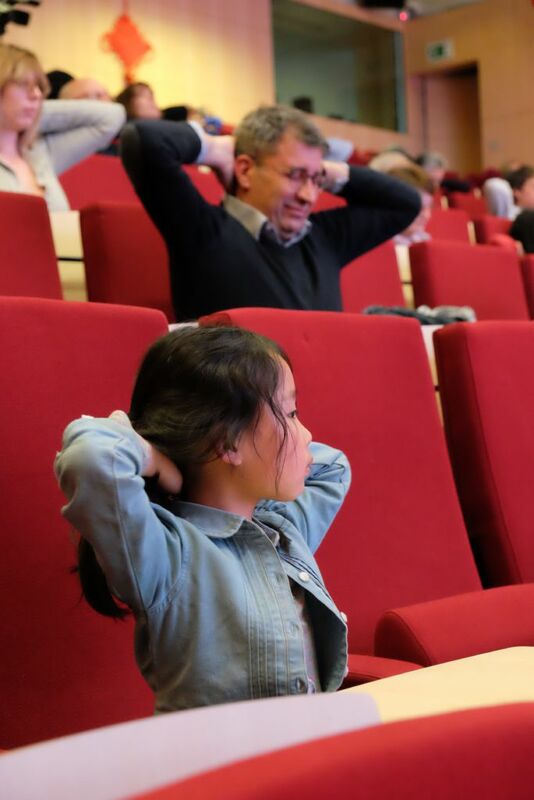 Lecturing throughout the world, she perpetuates the learning of her father, Dr. LIU Gui Zhen. He gave the name “Qigong” to any method that aims to maintain the original QI (the energy received at birth). Then, he developed new forms of Qigong such as Nei Yang Gong, Qiang Zuhanggong or Bao Jiangong. By working them from a scientific point of view, he succeeded to remove these methods from the magical and superstitious sphere that surrounded them and played an important role to their recognitions. Proud holder of the method, it was with great enthusiasm that Mrs LIU Yafei led the whole conference. 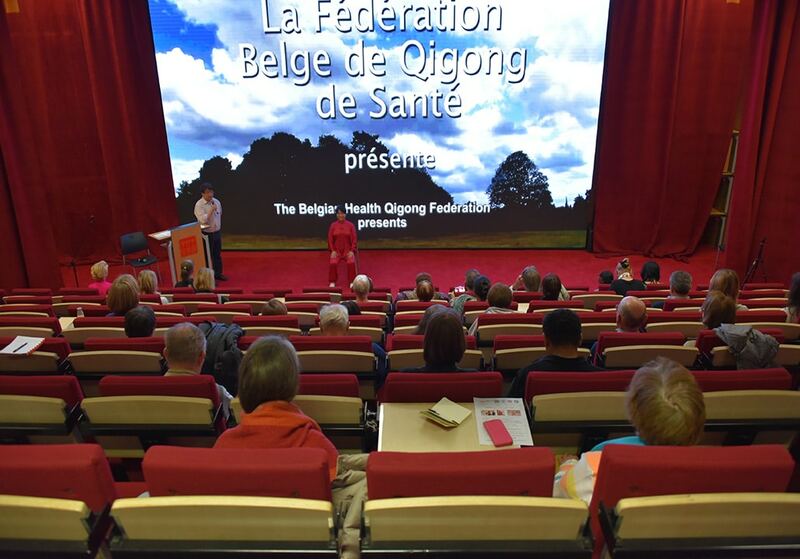 Invited by the Belgian Health Qigong Federation and the Life Care Centre (the Belgian school of Nei Yang Gong) for 6 intense days of conferences and workshops in Brussels, she expressed her joy at being in Belgium: “I’m very happy to come back again and for the third time in this beautiful city of Brussels! This afternoon we have a new opportunity to show you the benefits of Qigong and I hope everyone here will enjoy it! “. 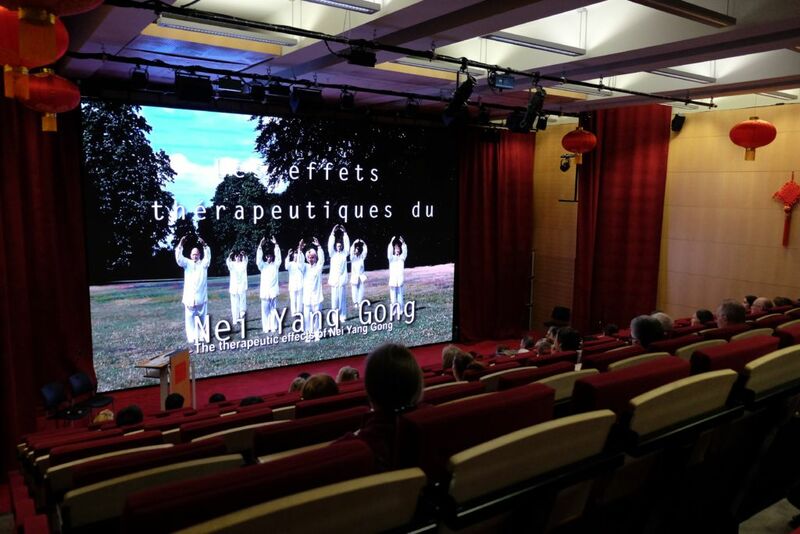 As a prelude to the conference, Mrs Thésy Vogliolo, Director at the Life Care Centre, presented a short video exposing the therapeutic effects of Nei Yang Gong through the testimonies of different practicing people. 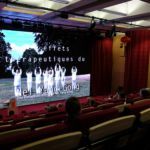 The Director highlighted: “This video focuses on the practice of Qigong depending on the health conditions – sometimes difficult – of each one”. After the video, Mrs LIU Yafei continued the conference by explaining the principle of her method. The two founding words of Qigong are PEACE and RELAXATION. The purpose? Opening one’s body, harmonizing its functions with the aid of one’s mind. At the end, the body will be relaxed. As the speaker mentioned: “With all climatic, emotional and social factors that affect our health, it’s essential to restore our internal balance to avoid and fight diseases. Qigong allows you to acquire this body balance by circulating blood and energy”. 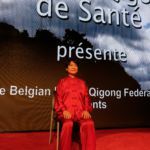 In this way, the practice of Qigong is not only recommended to cure all kinds of pathologies but also widely advised to strengthen the body and prevent diseases. 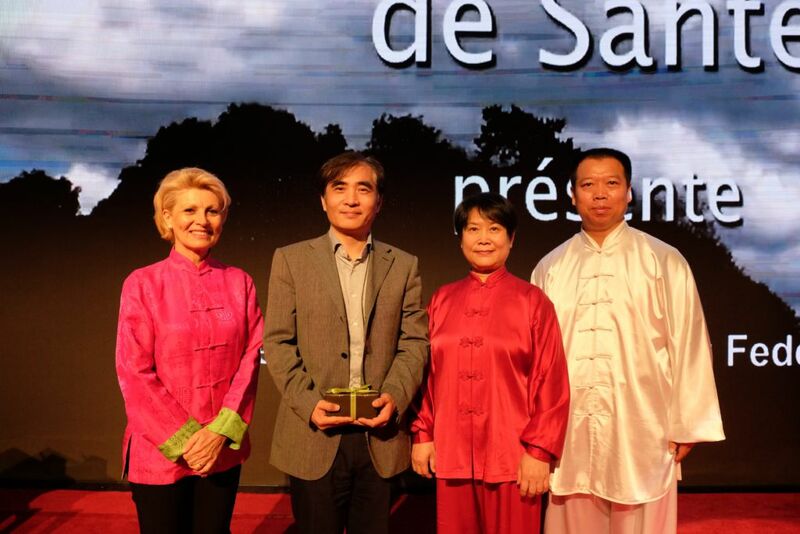 To conclude the theoretical part of the conference, Mrs LIU Yafei insisted on the scientific recognition of Qigong and the continuous increase of its popularity all around the world: “It was in the 50’s that my father allowed to give a scientific nature to the method. By conducting clinical research on stomach diseases, he used Qigong to treat his subjects. 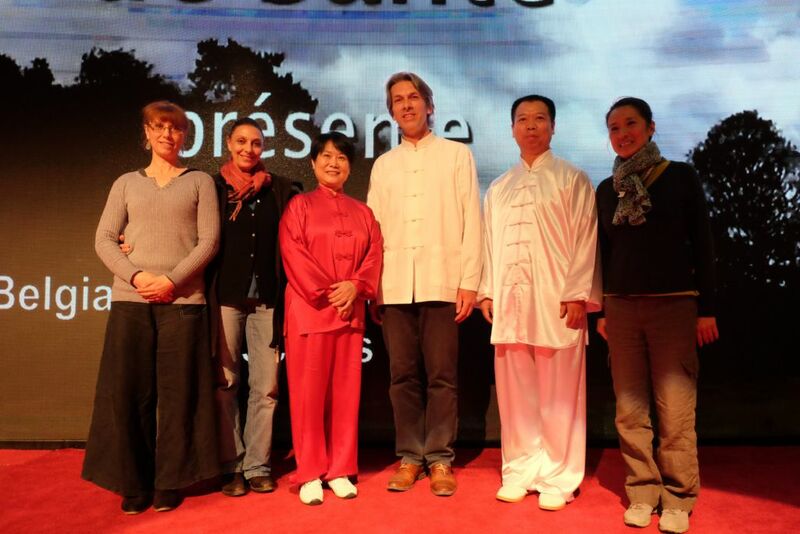 After 100 days of practice, all patients recognized the beneficial effects of Nei Yang Gong”. For 95% of the cases, the symptoms of the disease disappeared and their overall health returned to normal. 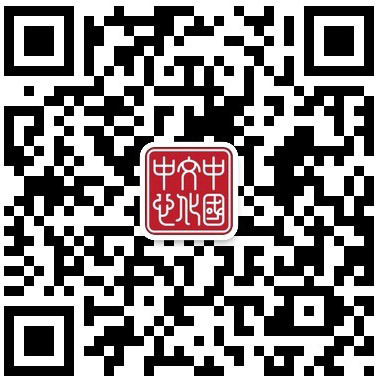 Since then, the Qigong Medical Hospital of Beidaihe continued lots of researches based on the therapeutic effects of the method. 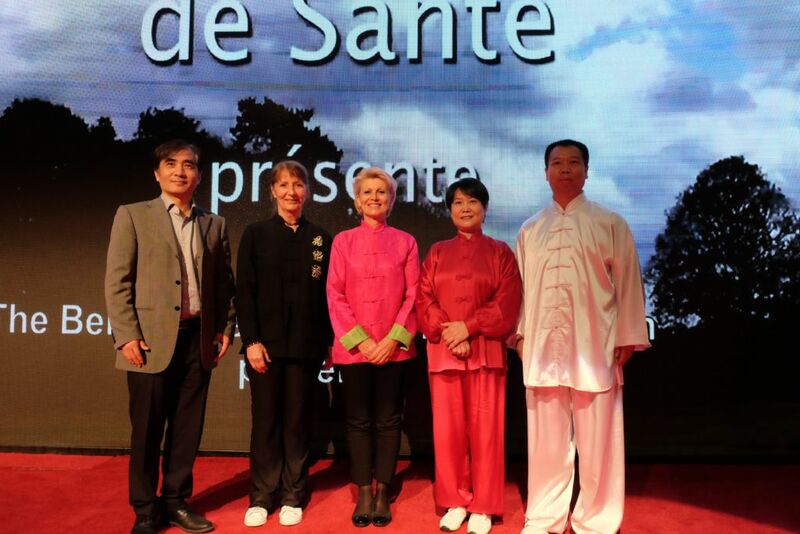 Today, it is the only hospital recognized to treat diseases by the practice of Qigong. Following all these theoretical learnings, the conference became more practical. 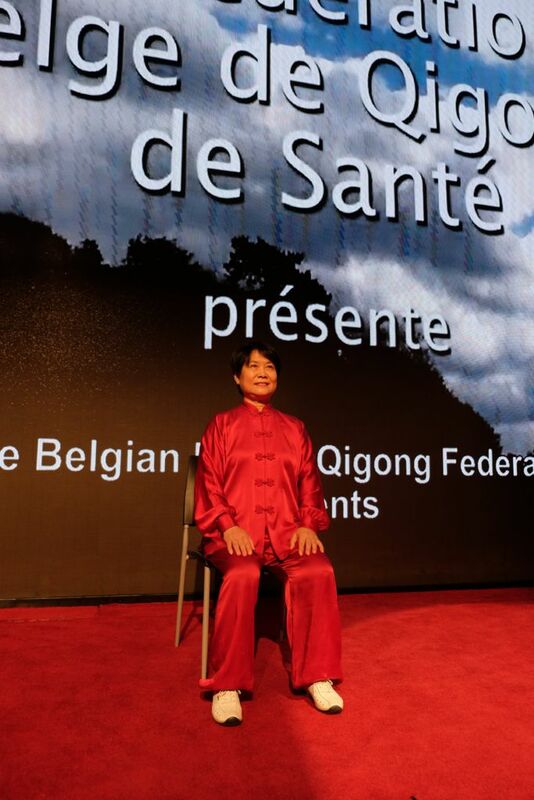 Mrs LIU Yafei presented several practical exercises of a new form of the method: the Qigong for Cervical. Indeed, with the growth of electronic devices like computers or tablets, many people have developed some cervical problems. The Qigong for Cervical has shown an improvement in cervical syndrome in more than 90% of cases! Moreover in 80% of the cases, the regular practice of this method allowed a positive durability of the medical effects. 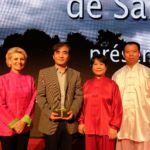 For all her researches, the speaker received a national award from the Dongzhimen Academy of Chinese Medical Sciences of Beijing. It was with great motivation that participants experienced the first movements of the Qigong for cervical. In a cozy atmosphere, Mrs LIU Yafei exhibited basic and simple movements that everyone could easily reproduce at home. During each exercise, the principle is the same: taking a correct right posture, relaxing the body, relaxing the spirit, taking a deep breath, and finally becoming aware of the spine. After more than an hour of practice, the speaker was greeted with a lot of applause by the relaxed and peaceful participants. 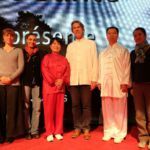 Very happy, she ended the conference by thanking the the Belgian Health Qigong Federation and the China Cultural Center for their help in promoting this treasure of Chinese Culture.